WATCH Who is Andrew Wheeler? A Senate committee on Tuesday approved Andrew Wheeler's nomination to take over as permanent head of the Environmental Protection Agency. The Senate Environment and Public Works Committee approved Wheeler's nomination on a party-line vote, 11-10. His nomination now goes to the full Senate for a vote. Wheeler was previously confirmed as deputy EPA administrator but took over as administrator on an acting basis after Scott Pruitt resigned last year. Environmental groups have continuously called for senators to oppose Wheeler's nomination, saying that he supports the Trump administration's agenda of rolling back regulations they say are crucial to public health and combating climate change. 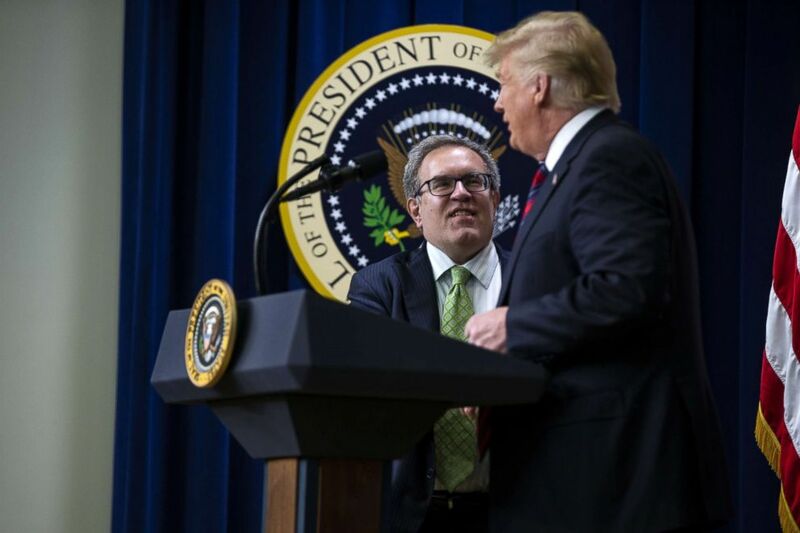 Andrew Wheeler, acting administrator of the Environmental Protection Agency, arrives on stage with President Donald Trump during the White House State Leadership Day conference in Washington, Oct. 23, 2018. Democrats on the committee called for the majority to slow down Wheeler's nomination, saying he could continue to serve in an acting role. Wheeler has been criticized by Democrats and environmental groups for his past work as a lobbyist who represented the coal company Murray Energy. He has also worked for the same Senate committee that approved his nomination Tuesday and worked as a career employee for EPA in the Office of Pollution Prevention.